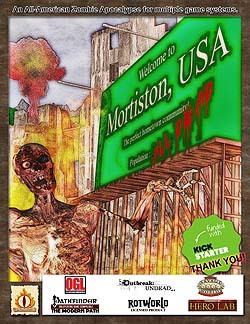 Project Z is a zombie apocalypse scenario set in an isolated town in southern Colorado. During the first session, our five PCs don’t actually encounter any zombies… instead, they are independently located somewhere in the middle of town when a small suitcase nuke goes off in the north side of the city. This short session details their immediate activities just prior to and immediately following the explosion. The system is Savage Worlds. As none of the players have any experience with the system or with gaming via videoconferencing, some of the recorded material includes details about system mechanics and the occasional challenge associated with the medium. 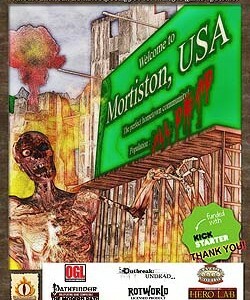 For GMs who are interested in running a similar scenario, we used the Welcome to Mortiston, USA! setting product from Scrying Eye Games. If you are interested in online gaming with Savage Worlds, you might also consider Google Hangouts and Tabletop Forge.